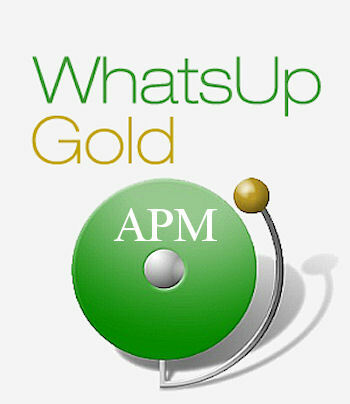 Ipswitch has added an Application Performance Monitor (APM) module to its WhatsUp Gold network management product. The basic WhatsUp Gold is a network monitor, with a device discovery and mapping element, that can be built up into a more sophisticated management suite by adding modules according to individual systems’ needs. The addition of the APM module enables IT departments to manage application performance allowing them to diagnose and fix complex problems through the management dashboard. The company said this can avoid costly service interruptions. The software can identify root causes of application performance problems across network, server or multi-tier application. Irrelevant noise created by inter-dependent applications triggering “alert storms” can be eliminated by filtering out secondary warnings, allowing the IT department to get down to, and fix, the real problem. Application Performance Monitor also provides proactive alerts that can be set to execute customised actions to automatically repair potential problems before applications fail. Demianyk also pointed out that, from a reseller viewpoint, the ability to monitor systems remotely allows a higher level of revenue stream and the purchase price and ease of installation “is probably the best on the market”. Ipswitch is almost 100 percent channel focused and only takes on direct sales at a customer’s request. “About 99.8 percent of our business goes through the channel in the UK and Ireland. Now they can offer their end-users the ability to monitor their applications, either in-house or from an end-user point of view. It’s a great addition to the existing product range that resellers can also offer their end-users,” Demianyk said. Ipswitch has seven Gold Partners, its key technical partners, who they deal with directly. Other resellers, Silver and Authorised, work with the company’s distributor Computerlinks. Organisations like the Ministry of Defence and other government departments have “preferred suppliers” and favour going through these secondary channels. Additionally, WhatsUp Gold v16.1 can be set up on a free 30-day trial to allow customers to try the system before they buy.